Whenever it's TIME to grab a beverage, make like Marty McFly and do it in this wicked Back to the Future glass! 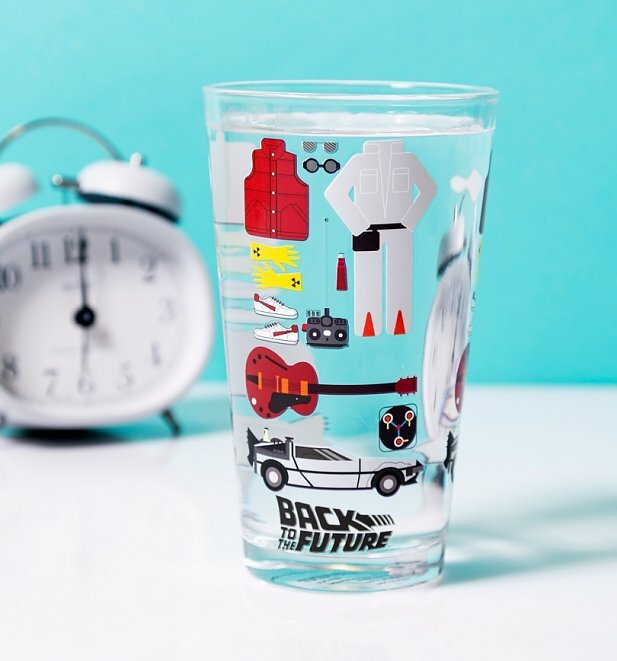 Featuring loads of classic motifs from the 80s movie, from the DeLorean to the boombox, it's a cult find for fans. - Measures 14.5cm x 8.5cm approx.